For those of you that missed it out on our CAC last year (read Kage’s report here, and our race report will be done… Um… Sometime in the next 10 years), you should be ashamed. The first CAC proved to be much longer and harder than anyone (Bob and I included) could have imagined. While our CAC might have worn people out, everyone left with smiles on their faces, completely satisfied. Well… MOST people had smiles on there faces. Screw you, Todd. The CAC will rise again, and trust me… If you love having a good time, then you want to be all over this CAC. This year’s CAC will be held (get it?) on April 6th, and HQ will once again be at the Pine Ridge Campground near Ashland, MO. Camping the night before and the night after is free (because we have so much clout in Missouri), and last year it was ridiculously fun. Just ask anyone who participated in the first CAC, and they’ll tell you that the camping was as much fun as the non-race itself. The Carnage At the Creek Two (CAC2) is free (other than roughly 10 bucks for the map), and it will be roughly 6 hours. Solos, duos, trios, quadros, or whatever kind of team is allowed. You will be hiking, trekking, running, mountain biking, hike-a-biking (maybe), orienteering, and you’ll possibly face a mystery event or two. Dave man-handled the rowboat by himself. What a stud! Even without a paddling leg this year, our CAC will still be (ahem) unbeatable. We will have many more details to come, but we need to know VERY soon if you will be joining us or not. The sooner you let us know you’ll be there, the more likely we’ll have a map for you. So let us know ASAP! You can comment below, or you hop on the CAC facebook even page right here. So please don’t be shy. You know you’ll regret missing this when you here everyone raving about how much they enjoyed our CAC. Don’t be a fool. Come join us! 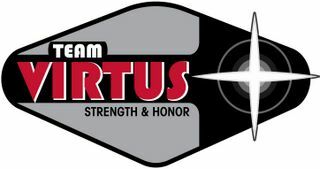 Posted on March 19, 2013, in CAC, Non-Races and tagged Adventure Non-Race, Adventure Racing, CAC, CAC2, Free Adventure Race, Mock Adventure Race, Practice Adventure Race, Team Virtus Non Race. Bookmark the permalink. 2 Comments. Tardy Rooster in with a team of 2. Another AR virgin broke in by the CAC!